In the most classic sense, the board helps plan for the future by confirming direction and major strategy. Basic functions include the selection and evaluation of the senior pastor and setting of his salary. Also, financial oversight (though it may be delegated to another body such as trustees or finance committee), and the board’s effectiveness-ensuring its health and the development of future board members. Having a well thought through written agenda is vital to a productive meeting. Showing up unprepared and “going around the table” giving each board member an opportunity to speak what’s on their mind to any topic is likely a waste of time and possibly a nightmare in the making. Board members can contribute to the agenda, but only in advance of the meeting and via an agreed upon process. In a healthy organization, decisions are made according to what is best for the vision of the church, not favoring any one person’s personal preference. But even that is complicated, because what is “best” for the church can be subjective. Therefore, teamwork, unity, and a sense of strong esprit de corps is essential. Mutual voluntary submission to one another under God’s authority is central to a healthy and effective decision-making process. Strong opinions are fine, but if each person seeks the mind and will of God with all their heart, a conflict will be greatly minimized. The consensus after prayer and process is best, but traditional voting is acceptable if necessary. Every person on your church board is a human being. No matter how mature or how good of leaders they are, there will be times of disagreement. Don’t avoid conflict; the important skill is the ability to resolve the conflict. 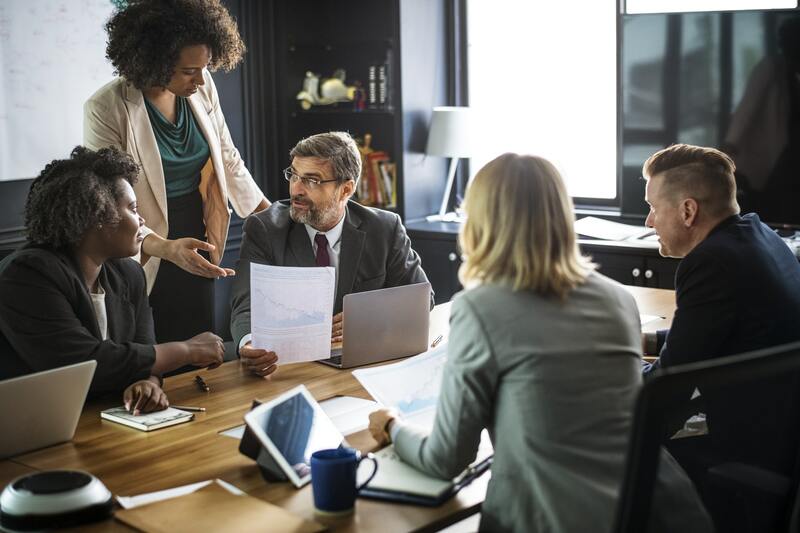 Further, the sign of an effective board’s conflict resolution is when conflict does occur, it is about a new (rather than recurring) issue, and you can resolve it more quickly. If the amperage of any issue becomes so great that the board gets stuck or polarized, it’s time to take it offline. By that I mean allow the senior pastor and one or two board members to take some time outside the board meeting to talk things through to resolution. Start by agreeing on the mission, values, and that the main goal is not to win, but to advance the mission of the church. If a resolution can’t be found, you may need to bring in an outside arbitrator. The point is to keep the conflict away from official board meetings. It may require a frustrated or angry board member to take some time off from the board until a healthy resolution is regained. In smaller churches, it can be a power struggle to determine who leads the church, the board or the staff. In larger churches, that issue is usually resolved, but larger churches still often struggle from poor communication between the board and staff. In either case, clarity of roles is essential. There is more than enough for both groups to do! There are several measurements by which you can test your church board’s effectiveness. If you are a denominational church, there are certain accountabilities that come from your overseer and are very helpful. Do all board members pursue a deepening relationship with God? Does the board, as a team, fully agree upon and aggressively pursue the mission of the church? Does the board set aside their agendas for the good of the church and the unity of the group? Is the revenue of the church keeping up with the budget needs? Is the board prayerfully seeking what the church should look like in 5, 10, and 15 years? Is the board accurately aware of the reputation of the church in the community? Does the board celebrate spiritual victories in the church such as salvations and baptisms? If you are denominationally connected, you may have by-laws and general governance policies you must follow. In that case, follow them, and hopefully you are given the discretion to use wise leadership to trump a rule if ever needed. If at all possible, avoid a popularity contest. Politics in the local church is a damaging proposition to say the least. Set a biblical standard by which each candidate is evaluated. Conduct an interview focusing on why the person wants to be on the board. A limited term of service is a great idea if possible. A top notch board member can always come back on the board after a year or two off. The difficulty is how to remove a board member “gone bad” if you have no term limits. Hopefully, you won’t have to do that, but two things are needed just in case. The first is a system by which you can release a board member. The second is the courage actually to do it. Don’t wait until you need to release a board member to set up the system; design it, and have your board ratify it now before the need arises.